...besides hot salsa and tortilla chips. (Tell me I'm not the only one who likes salsa so hot it can clear your sinuses?) I don't want this post to sound like certain people's facebook status updates... "I just ate a cheeseburger." "I feel like an ice cream sundae." 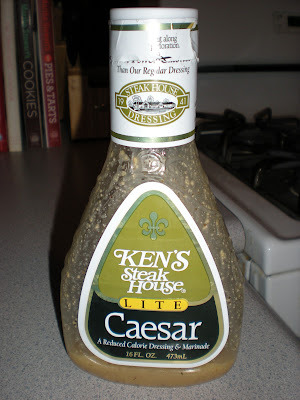 What I do want to do: share a couple of my recent go-to meals. It is so easy to get stuck in a food rut. To break out of it, I usually flip through a magazine, browse recipes online, or ask my mom for ideas. I seek inspiration from other people and then incorporate their favorites into my own rotation. A couple weeks ago, I was heading to the grocery store and complaining to my mom that I needed something easy, tasty and healthy to bring to work for lunch. 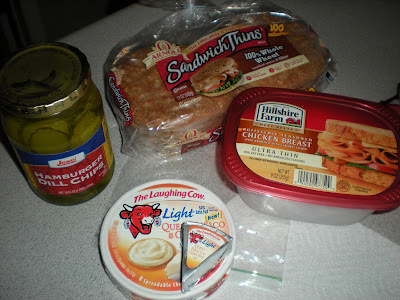 She shared her usual sandwich: sliced meat, Laughing Cow Queso Fresco & Chipotle cheese (35 calories a wedge), and hot peppers on thin, round sandwich bread (100 calories). 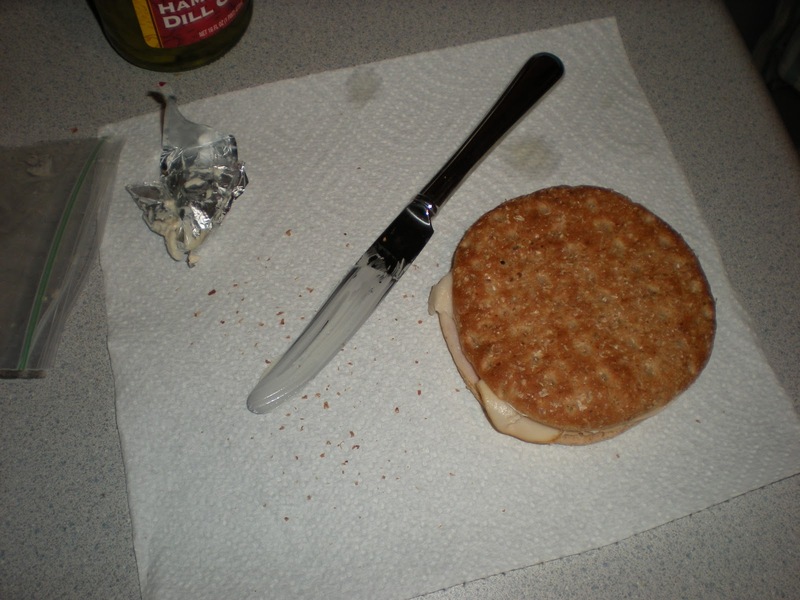 So I gave it a try, substituting pickles instead of peppers, and I've brought this sandwich for lunch at work or a quick dinner before evening class numerous times. 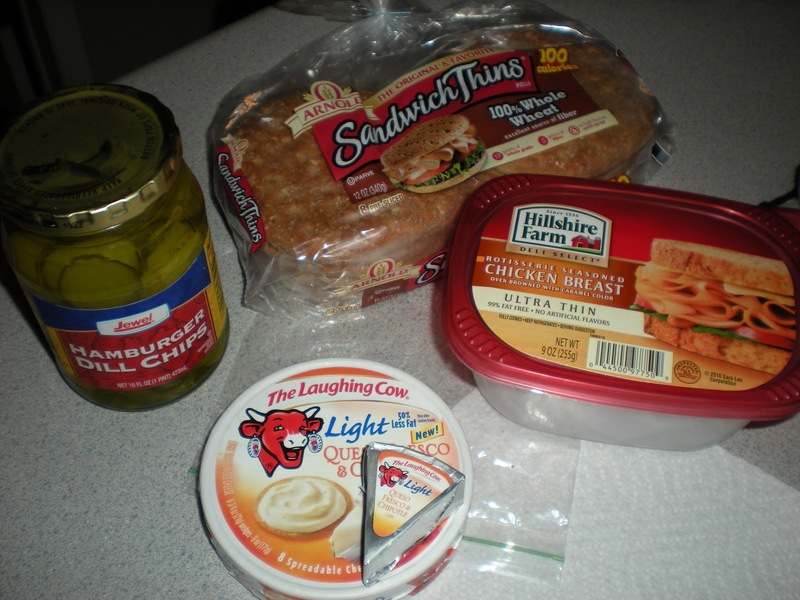 (The Laughing Cow cheese adds flavor as a great creamy spread!) Pairing the sandwich with a fruit cup and some Baked Cheetos or Goldfish crackers, I feel full and energized... no more tempting fast food, which wastes calories and cash. 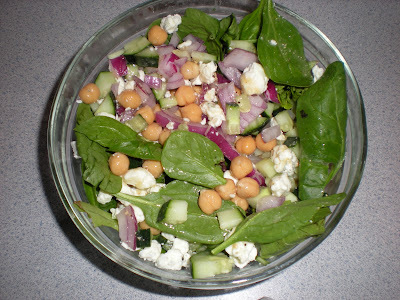 My other recent favorite: my own take on Potbelly's Chickpea Veggie Salad. I love to grab that salad for lunch since the flavors are strong and it helps me get some veggies into my day. But for $7 or so, it's not a smart idea on a regular basis. 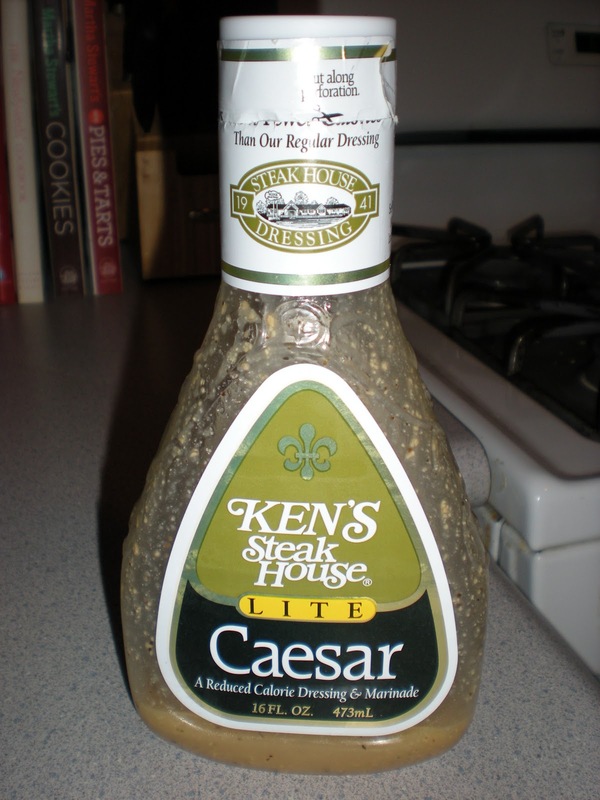 Good news though--the ingredients are easy to replicate. 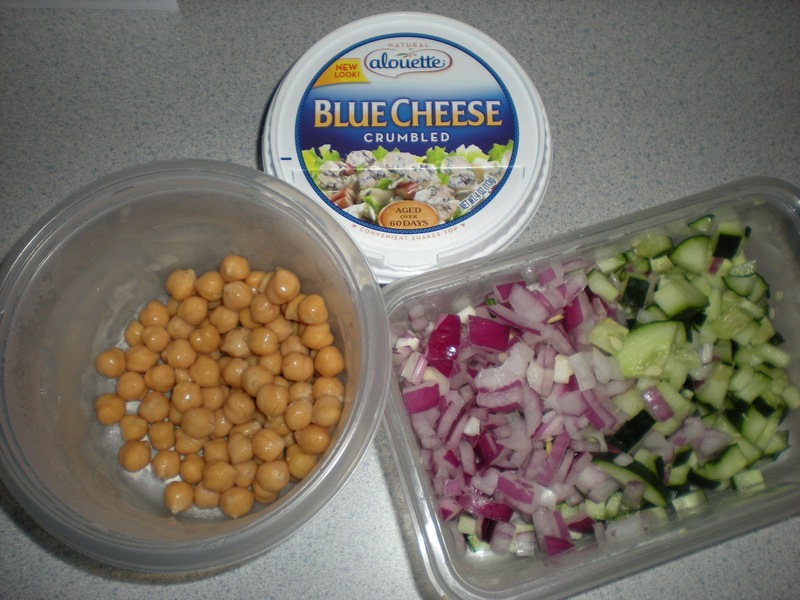 I picked up some salad mix, chickpeas, red onion, cucumber and blue cheese (used sparingly so the calories don't get out of control). I could also include hard-boiled egg and tomatoes to pull off a complete copy of the Potbelly's version, but I kept it simple for now. 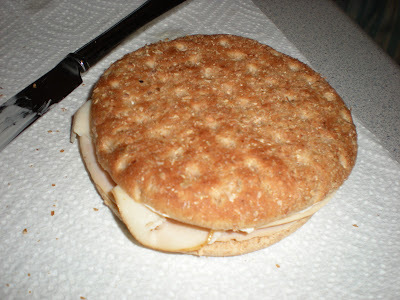 And sometimes for extra protein, I have added some sliced turkey or grilled chicken too. Swapping favorite food ideas with friends and family is the easiest way to add variety into your diet. What are some of your go-to snacks or meals? Love it... thanks for the tip!